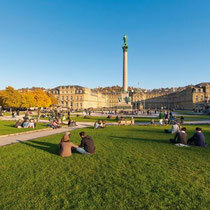 Stuttgart, the capital of Baden-Wuerttemberg, is located close to both the Black Forest and the Swabian Jura. 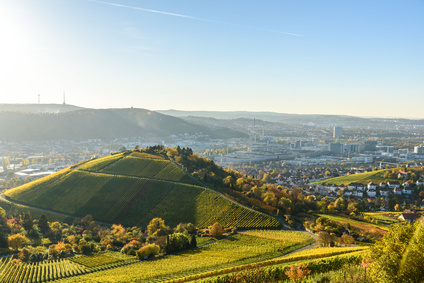 Stuttgart’s valley location with the steeply rising slopes is unique. 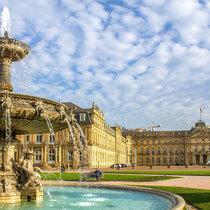 Surrounded by three wooded elevations, the city is open in the east to the Neckar and thus has a pleasant climate. 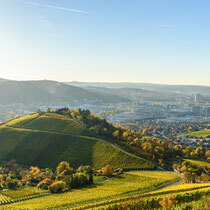 Vineyards which reach into the inner city, parks, forests and orchards cover more than half of the 11,000 hectare large city and justify Stuttgart's reputation as one of the most beautifully located large cities of Europe. 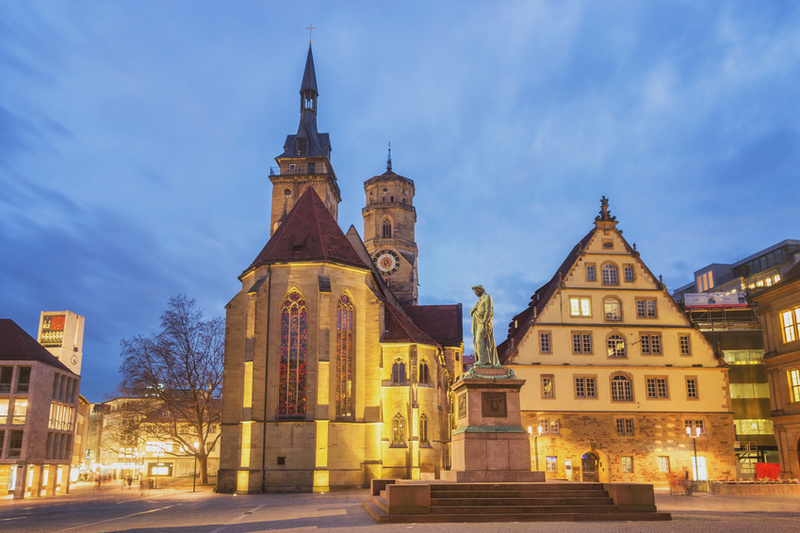 Through its location in the southwest of Germany, Stuttgart is an ideal starting point for excursions to the Black Forest, the Swabian Alb, Lake of Constance, the Hohenloher Land as well as the neighboring countries of Austria, France and Switzerland. 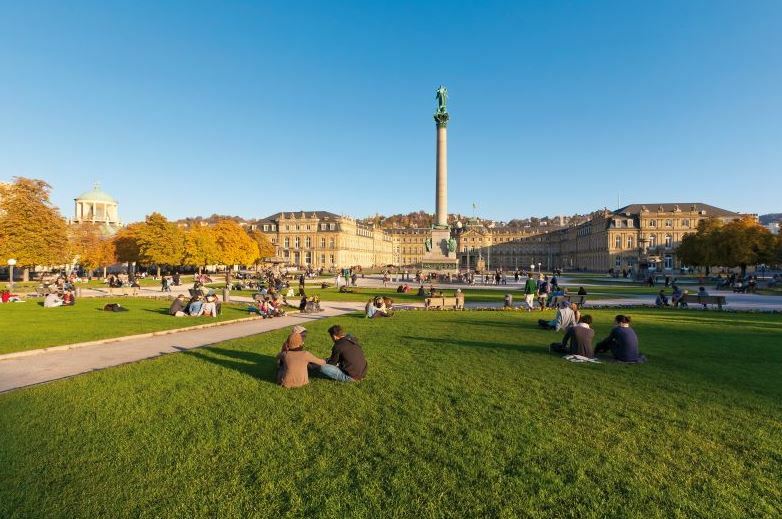 Known around the world are large Stuttgart companies like DaimlerChrysler, Bosch and Porsche, which stand for Swabian innovation and successful entrepreneurship and which characterize the city as an attractive economic location. 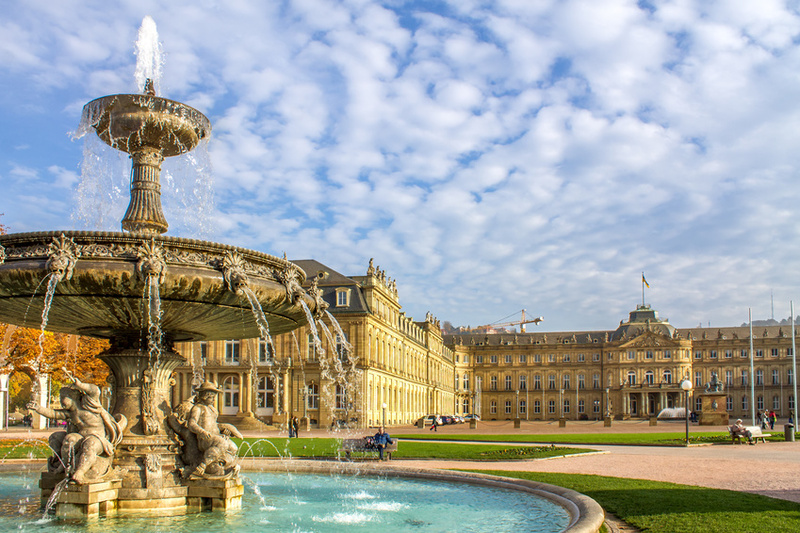 The magnificent castles and palaces, historic towns and splendid vineyards in the Stuttgart region entice visitors to enjoy wonderful walks, cycle tours and boat trips on the River Neckar and the many idyllic lakes. 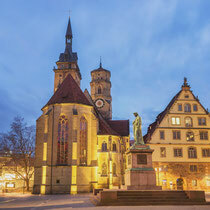 The Stuttgart region offers a diverse, charming landscape with an abundance of attractive excursion possibilities: hiking, biking tours or boat trips on the Neckar, visiting museums, fortresses and castles in historic town, a ramble through beautiful medieval city cores, relaxing in the health resorts surrounded by nature and pleasure with traditional, cosy wine festivals. Prominent in the Stuttgart cultural life is the Wurttemberg State Theater, the former royal court theatre, built from 1909 to 1912 as a double theatre with an opera and a stage theatre house. What has remained is the opera house decorated with classical columns (1400 seats). From 1982 to 1984 the inner rooms were again brought back to the original condition. The State Theatre Stuttgart with renowned plays, the world famous Stuttgart Ballet and the State Opera, which has been awarded many times and which received the coveted title "Opera House of the Year" in 1998, 1999, 2000, 2002 and 2006. The musical hall in the unique SI Experience Center, the fascinating State Gallery Stuttgart or the numerous museums like the automobile museums from Mercedes-Benz and Porsche are further magnets for the public. A cheerful and culinary experience is one of the many cheerful festivals like the Summer Festival, the Stuttgart Wine Village, the Cannstatter Beer Festival, one of the largest and most beautiful folk festivals in the world, or the atmospheric Christmas Market.